A 19-year-old driver from Australia has crashed their car into a local school while trying to play Pokémon Go. The Age reported this morning that the driver was “trying to catch a Pokemon” when he lost control of his car just before 7:00PM last night. He overshot a roundabout and hit a fence at St Francis Xavier College in Melbourne, before crashing through and eventually coming to a stop in an empty classroom. No-one was injured, and a police representative put a light spin on the incident by saying the driver “did not level up nor collect any stardust or candies, only debris from the crash”. 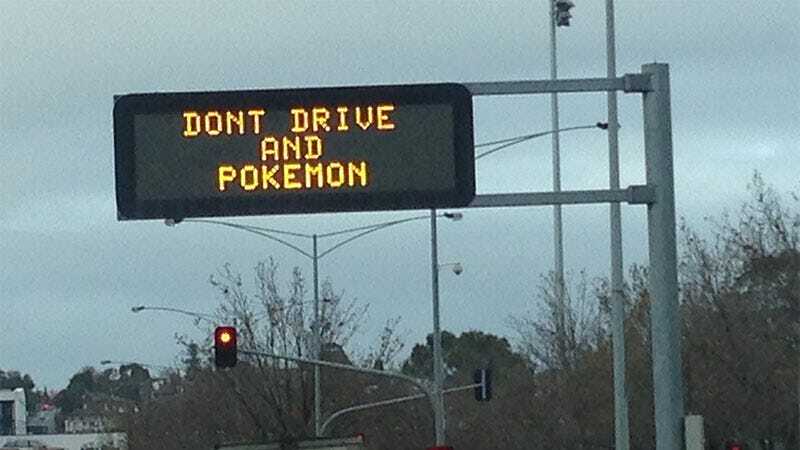 “Any ‘Poke-balls’, eggs or potions the driver may have had remaining only attracted police, leaving the wild Pokemon for another day,” the police spokeswoman told The Age. Please don’t play mobile games while you’re driving. Especially Pokémon Go. This post originally appeared on Kotaku Australia. You can follow Alex Walker on Twitter.